(c) The artist, Luis Jimenez, died when part of the 32 foot-tall, 9000 pound statue fell on him. (d) there are no alligators, but there is a secret tunnel to NORAD and that's where your lost luggage goes. They say "thanks" for packing the chocolates, by the way. Answers? All I've got to say is, "The truth is out there." 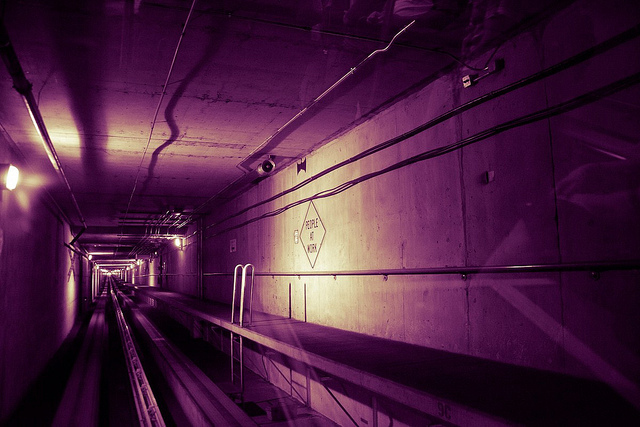 Have you been to the Denver airport? I laughed out loud at the answers to the horse questions. What a completely weird statue!!! Haha 'thinking ruins everything'! It sure does. But it's true. I've never been to Denver, but know some other airports where the luggage gets eaten up by alien alligators. Fact. I stopped packing chocolates because that's why they eat it. Of course! why else? I have been through the Denver airport a couple of times and don't remember paying much attention... And it's been at least fifteen years--but they were in the new airport that, when I had a 5 AM flight, seemed like I had to drive to Nebraska to get to the airport. Tamara, nope never been to Denver or the airport. I loved your multiple choice questions. lol You have a fun way with developing such interesting posts in this challenge. Be sure to drop by for a look at the letter “D” (dogs) in my A2Z series, Art Sketching through the Alphabet! Happy a2zing, my friend! LOL! I do think the gargoyles are laughing. Why does the airport look like a circus? Probably because going to the airport feels like a circus. Oh, I do love me some conspiracy theories! Especially when alien alligators are involved! I'll have to check out the rest of this series for sure. LOL - that is one bizarre airport! Quite frankly I'm glad I've never been there :). Gargoyles - really?! Who thought that was a good plan? Bwahahaha, I haven't been, but now I have to go :D The demon horse is kinda creepy. Why else would the Hunger Games model their Capital after Denver? That is hilarious! I think the alligators pushed the statue onto the creator. I always love gargoyles, but that horse... yikes! This is a very fine conspiracy theory - well done piecing it together! Alien alligators... LOL. Now that's one I've never heard before. I've been to the Denver airport a few times. I hate how you have to ride a train underground to get to the main terminal. I love that horse stature. Isn't it silver? I have not. I stick with the Midwest--O'Hare and any airport in Florida ;-) You'd think those t-pee ceiling thingys would get blown away or ruined?? Now I must schedule a flight that has a layover in Denver! This is a must see that I haven't. Thanks for the laughs. My answers: 1. Snow-capped circus tents actually. 2. Pinwheel 3. All of the above 4. 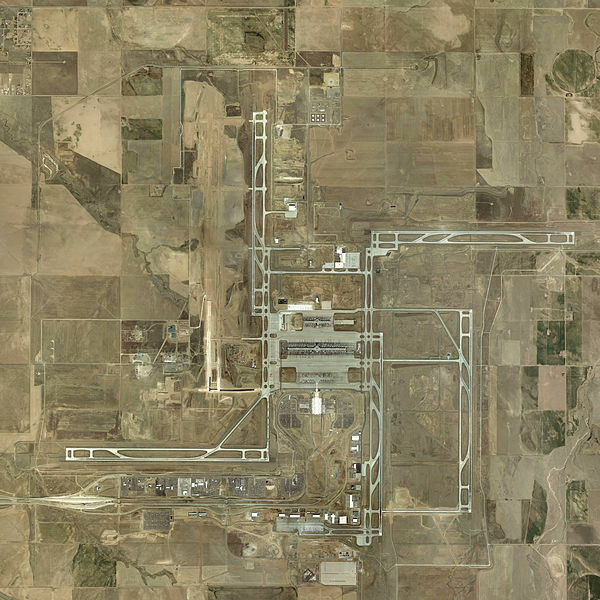 Identify the Denver Airport as headquarters for the Illuminati, and I picked this answer because he isn’t scary and he doesn’t look amused. 5. Alien alligators. I have not yet been to Denver airport, but after reading your post I will certainly have to check it out, on a flight where all I have is a carry-on of course! Great post. I've been to the Denver airport on more than a few occasions. All I can say is this: When I fly through Denver, I don't check any luggage. Just sayin'. My husband and I were briefly in the Denver airport last October en route to CA. We must have been in such a rush to make our connection because I don't remember any of this! If I'm there again will have to look for it! C, A and what bit fell on the artist? The anatomically correct one? 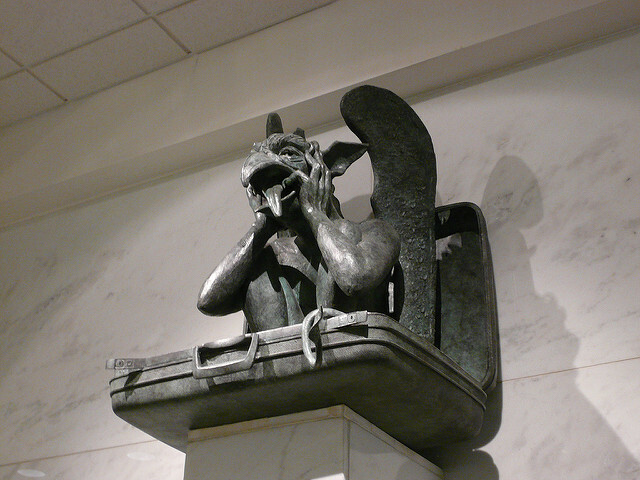 That gargoyle does look like it's having a good laugh at all those humans shrieking about lost luggage. (Ever seen an episode of Red Dwarf where a suitcase on wheels is looking for its owner?.) I take my chocolate with me to eat on the flight, so the alligators will have to do without. Never been to the U.S. at all but Denver airport looks a lot more interesting than Tullamarine in Melbourne, where I live! Too funny. The Gargoyle and the Horse - my favorites. I haven't been to the Denver airport since 2009. I don't recall seeing any of that - too busy looking for my sisters car because she forgot where she parked it. I freaked out my coworker when I told her about some of this stuff because she was taking a trip and had a layover there. Her reaction: O.o????? Very funny, enjoyed this one but never likely to get there. Now I'll be reading all your a-z posts, have fun. I have NOT. Now I want to go. That place looks interesting! How far to the Stanley Hotel from there? I've always wanted to stay at the Stanley! LOL, never been to Denver. Entertaining post. This is hysterical, Tamara! 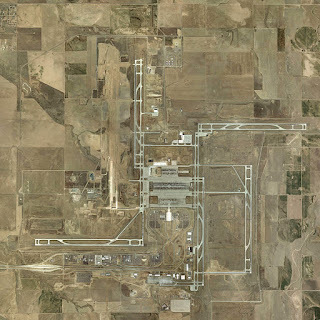 I have been to DIA countless times, and it is a very fun place. The first time I saw the canvas roof I was on a field trip with a bunch of paleontologists from the Denver Museum of Nature and Science. The roof reminded me of the bottom jaw of a small mammal from many millions of years ago. Actually the tent cones are quite beautiful from up close, and a lovely soft light filters through them into the main area. My favorite DIA goof, aside from our blue killer horse statue which is freaky in the dark, is when the Denver Museum of Nature and Science was promoting an Egyptian exhibit. They installed a large statue of Anubis right at the front of the main area where every car entering the airport had to go by. I would laugh every time I saw it because Anubis was the god of the underworld who weighed the hearts of the dead and ushered them (or not) into the afterlife. He was associated with cemeteries and embalming ~ just what a nervous flyer might want to see heading for the departure dropoff. Thanks for featuring my favorite airport! That's just too freakin' awesome. Definitely a case of "ignorance is bliss". LOLOLOLOL! Wow that's a lot of conspiracy for one place - makes me want to visit just to see the demon horse! Okay, now I need to visit Denver to see this! 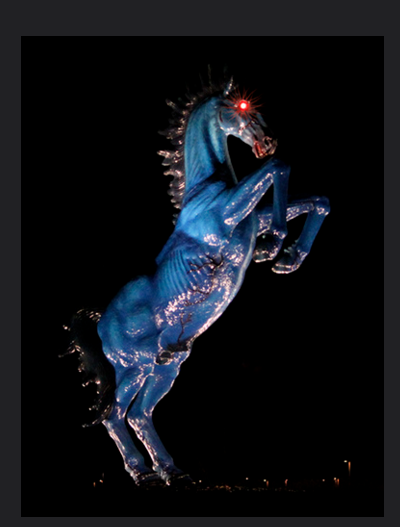 I've changed planes in Denver, but always in the daytime , so I don't recall the demon horse. Wowzers. This has been on my list to write about for a while, but the weirdness of that place is so detailed, and so multifaceted, the work involved in researching all the twists and turns made me want to take a nap instead. This really made me chuckle - love your take on the airport. I have to admit at first glance I thought you were writing a post about the Haj terminal in Jeddah, Saudi Arabia, as the style is incredibly similar - I wonder if they had an architect in common. Love that there are gargoyles in the baggage area as it's just the sort of quirky thing I love.